Amazing shows and guinea pigs! Their production sold all tickets which is a pretty incredible achievement for a fist venture, says she with just a teeny bit of pride. I am choked! I am also choked because the snag with visiting loved ones is you have to leave them again! Tears threaten and throats go constricted and the journey home is beset with gloom. I console myself that the girl I leave behind not only has the most loving partner to cuddle her now, where once only mum would do, but she also has guinea pigs! You wouldn’t think guinea pigs would make such a difference. But there’s something in the deep emotive caring part of our being that flourishes through a connection with an animal. There have been studies done on it apparently. Studies or not there was something in my grown up girl that made her feel the need for an animal in her life again. She’d always had them when little when I gritted my teeth and got over my aversion to cages and we had a variety of furry things over the years. And seeing the children calm themselves with caressing a pet, put their cheeks to furry bodies as I held my cheek to infant hair, I knew it was worth it. I watched them virtually dissolve into bliss. Ironically I’ve just seen the same sensation in my twenty four year old. Pets bring something to life that calms stress and ignites that loving side when it gets buried in the business of life. I recently read the most beautiful book ‘The Gentle Barn’ about a special centre offering animal therapy to lost and troubled children. The connection to, looking after, and physical proximity of warm loving beings connects children to a loving core that may have been imprisoned by traumatic life experiences. I think putting on a production for the first time ever may almost have felt like a traumatic life experience for my eldest and her partner! 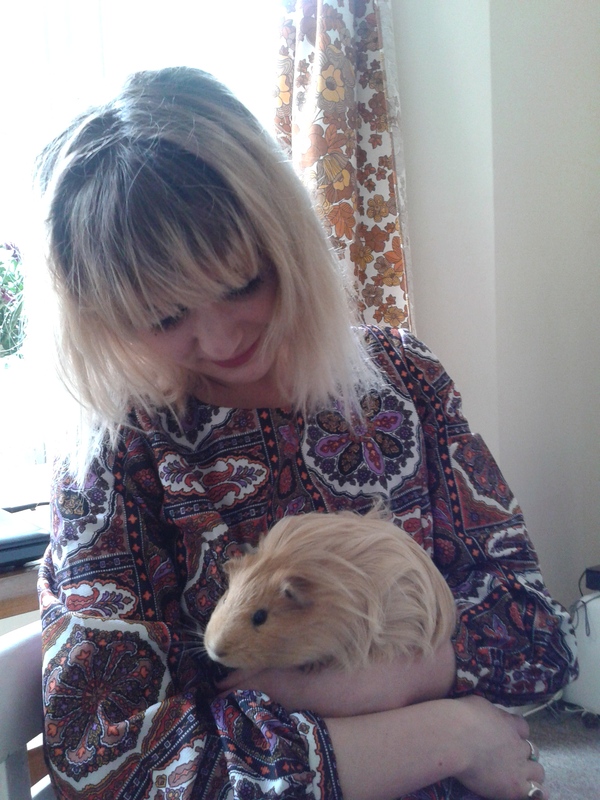 But afterwards I watched some of it leech away whilst holding a guinea pig! I might try it and maybe I can heal some of the trauma a mum inevitably feels at wrenching partings from grown up girls by cuddling the cat! Click on the picture for order details. It's here to help answer your questions about home schooling - see the My Books page for details. Thinking about Home Education instead of going back to school? The home education bedside book! The longest job…tips for surviving! Curriculum doesn’t constitute education – it can even choke it! Skiving off for a nature break with Instagram! Do follow me!